Welcome to the Lifestyle Fitness Center. You must present your membership card every time you enter the Center and have your card available at all times to present to the Centers staff. YMCA Swimming Lessons: Monday & Wednesday Evening 5:30pm-7:30pm (subject to change). Please call the YMCA if you have any questions (660)542-0011. All children age 15 or younger MUST have adult member supervision at all times. Parent/Guardian must be in the water at all times with children age 5 and under at the discretion of the Pool Monitor. Children age 5 and under must wear some kind of Life Preserve at all times, when in the pool area. Must be age 16 or older – NO EXCEPTIONS! There are no free guests included in your membership. If you wish to bring a guest you must purchase a guest pass for each guest at $5.00 each. This can be done Monday - Friday 8:00 am to 4:30 pm at the Jefferson Park Office or during pool hours by checking in with the Pool Monitors. There will be no exceptions made. You are responsible for your guests. **NO FOOD or DRINKS around exercise equipment. **Must be 16 years of age. **You must sign in at the pool and exercise area. **Please wipe down machines after each use. **Member must accompany their Guests at all times. 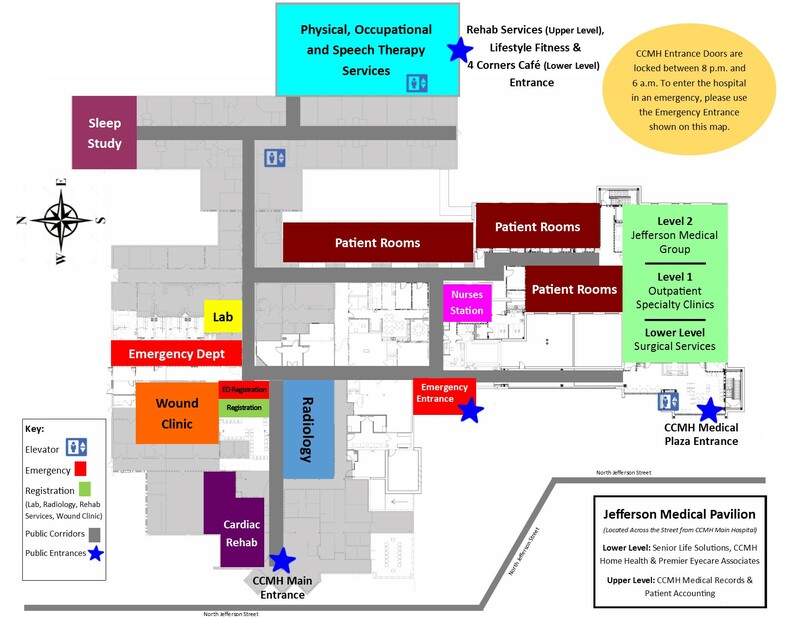 For hospital map, click here.